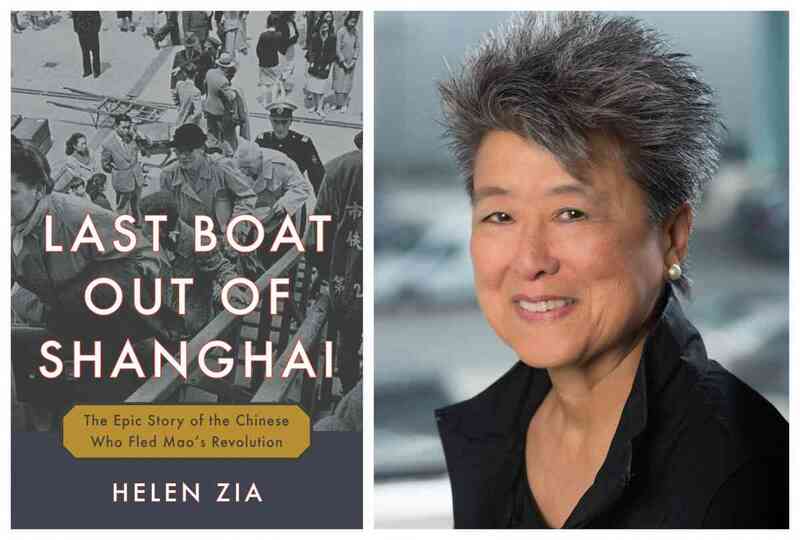 Helen Zia discusses Last Boat Out of Shanghai. She will be joined in conversation by Charlene Huang Olson. A Q&A and signing will follow the discussion. About the book: Shanghai has historically been China’s jewel, its richest, most modern and westernized city. The bustling metropolis was home to sophisticated intellectuals, entrepreneurs, and a thriving middle class when Mao’s proletarian revolution emerged victorious from the long civil war. Terrified of the horrors the Communists would wreak upon their lives, citizens of Shanghai fled in every direction. Seventy years later, members of the last generation to fully recall this massive exodus have revealed their stories to Chinese American journalist Helen Zia, who interviewed hundreds of exiles about their journey through one of the most tumultuous events of the twentieth century. In Last Boat Out of Shanghai (Ballantine/On Sale: 1/22/2019), Zia weaves together the stories of four young Shanghai residents who wrestled with the decision to abandon everything for an uncertain life as refugees in Hong Kong, Taiwan, and the U.S. Benny, who as a teenager became the unwilling heir to his father’s dark wartime legacy, must decide either to escape Hong Kong or navigate the intricacies of a newly Communist China. The resolute Annuo, forced to flee her home with her father, a defeated Nationalist official, becomes an unwelcome exile in Taiwan. The financially strapped Ho fights deportation from the U.S. in order to continue his studies while his family struggles at home. And Bing, given away by her poor parents, faces the prospect of a new life among strangers in America. The lives of these men and women are marvelously portrayed, revealing the dignity and triumph of personal survival. Herself the daughter of immigrants from China, Zia is uniquely equipped to explain how crises like the Shanghai transition affect children and their families, students and their futures, and, ultimately, the way we see ourselves and those around us. Last Boat Out of Shanghai brings a poignant personal angle to the experiences of refugees then and, by extension, today. About the author: Helen Zia is the author of Asian American Dreams: The Emergence of an American People, a finalist for the Kiriyama Pacific Rim Book Prize (Bill Clinton referred to the book in two separate Rose Garden speeches). Zia is the co-author, with Wen Ho Lee, of My Country Versus Me: The First-Hand Account by the Los Alamos Scientist Who Was Falsely Accused of Being a Spy. She is also a former executive editor of Ms. magazine. A Fulbright Scholar, Zia first visited China in 1972, just after President Nixon’s historic trip. A graduate of Princeton University, she holds an honorary doctor of laws degree from the City University of New York School of Law and lives in the San Francisco Bay Area. You may find an interview with Zia courtesy of A Public Affair, a daily talk program from WORT. Zia was interviewed by Bert Zipperer. About the interlocutor: Charlene Huang Olson has spent her professional career in the management consulting business as a principal/partner with CSC Strategic Services and in talent recruitment and development as chief people officer at Bridge Strategy Group, LLC. Ms. Olson graduated from Princeton University with a B.S.E. in engineering management and operations research. She earned her M.B.A. in marketing and finance from The Wharton School at the University of Pennsylvania. Ms. Olson is President of the Woman's Board of the Boys and Girls Clubs of Chicago, a member of the board of the Chicago Children’s Museum, a senior trustee of the Latin School of Chicago, and serves in numerous leadership roles with Princeton University's alumni association. The dramatic real life stories of four young people caught up in the mass exodus of Shanghai in the wake of China's 1949 Communist revolution--a heartrending precursor to the struggles faced by emigrants today.